23 April: World Inspiration Day: What Can YOU Do to contribute towards WORLD INSPIRATION DAY? Here are a FEW IDEAS! What Can YOU Do to contribute towards WORLD INSPIRATION DAY? Here are a FEW IDEAS! While food is the daily dose for our physical body, inspiration is the daily dose for our soul. 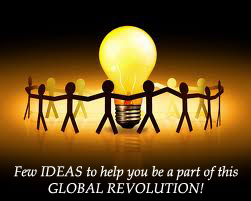 The moment people think about inspiration they surmise it to be the asset of only those who can make big things like revolutions happen which is the biggest misconception of the world today. You can take up worthy challenging tasks that can reach and impact more number of people like: create an event for a group of people and invite inspirational personalities to take a session. organize a game for fund raising. Go to different institutions and spread the message of World Inspiration Day. Start a social entrepreneurship venture or project or a business plan that you had always stopped yourself from starting and a lot more. How often do you feel the need of Inspiration? The WORLD INSPIRATION DAY Origin! 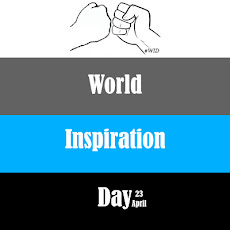 April 23rd is observed as World Inspiration Day. The WORLD INSPIRATION DAY Logo & it's MEANING!